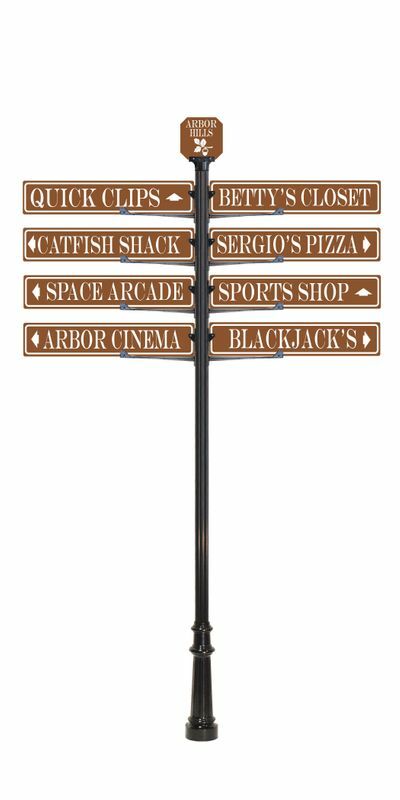 Capital StreetScapes provides custom wayfinding street sign components for residential and commercial properties that's able to accommodate any style or design aesthetic. 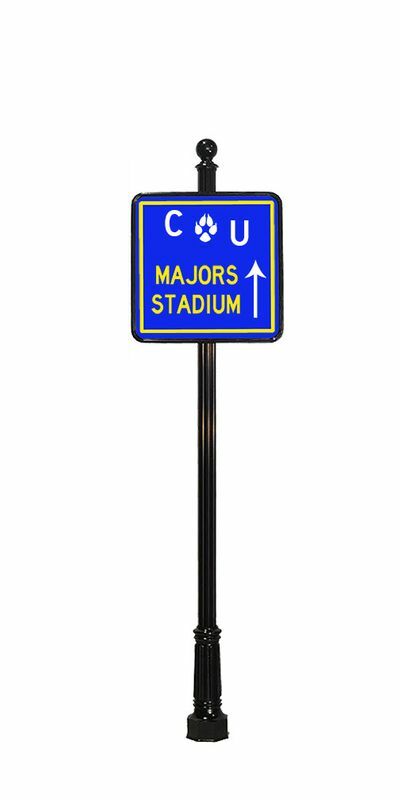 Our wayfinding street signs provide increased visibility and safety for drivers and pedestrians alike by using uniquely reflective materials and long-lasting, quality parts. 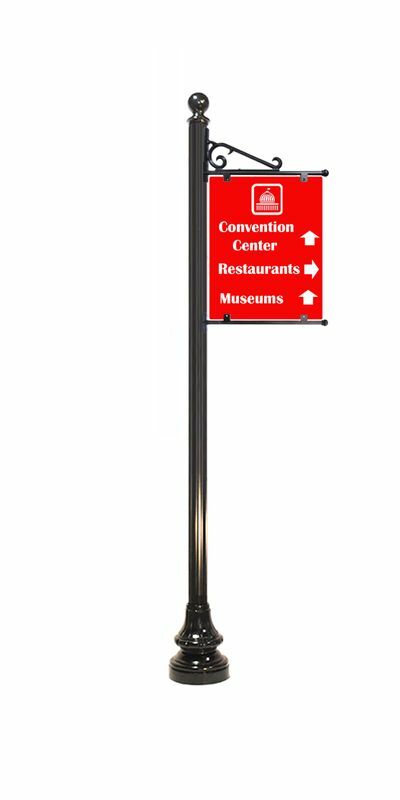 Capital StreetScapes Cast Aluminum Street Sign Components can be used to create hundreds of different designs of decorative wayfinding signage. The only limitation is your imagination. 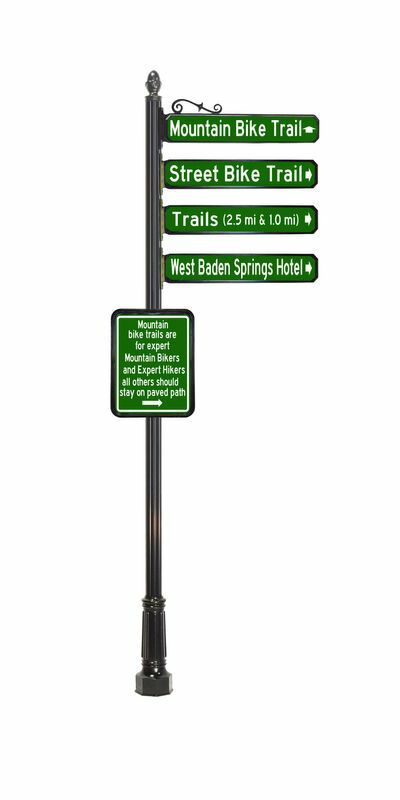 Contact a Capital StreetScapes representative to start building your custom wayfinding sign today!